The school is full of spots today! 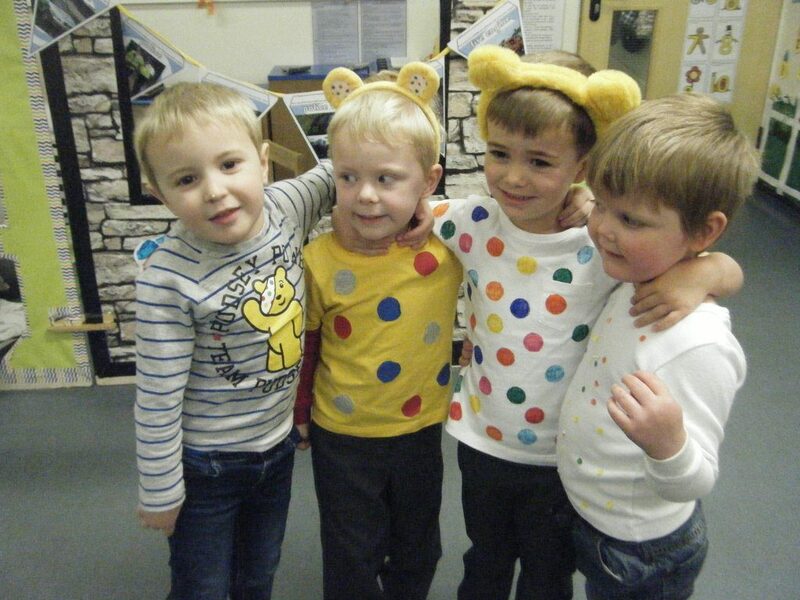 Thank you for supporting Children in Need and thank you to the children who have helped to organise the day. Thank you to those of you who completed the short survey. One headline figure is that 80% of parents would like to see us refresh our current uniform. Over the coming weeks I will discuss your views with members of School Council and pupil representatives. Whilst there are numerous views on what the children should wear, I know we are all committed to seeing the pupils in a smart uniform which they are proud to wear. You should have received an invitation to the AGM. Please contact the school office if you did not do so. I look forward to seeing some of you there. A number of productions over the festive period will be videoed and made available to you. Please complete the form which is attached if you would like to order copies; a perfect present for grandparents? I have attached our thoughts on some of the issues raised by parents during our discussions on creating a Junior School (N-5) and Senior School (6-11). No doubt other issues will be raised moving forward but, rest assured, we wish to see excellence on both sides of the pond. I hope to see some of you at the Wynyard Fayre over the next few days; I’ve already met lots of people interested in Red House. By the time you receive this email the choir will also have performed (no doubt brilliantly!) so Wynyard will certainly be aware that Red House is well represented! Please continue to send your family and friends in our direction – we know you are our best form of advertising!